Santa Claus is coming to town early this year! 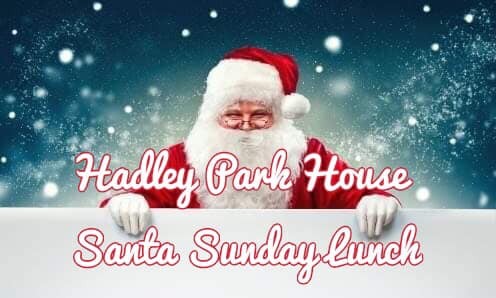 Join us on Sunday 15th December for our Santa’s Sunday Lunch, which will be a truly magical experience for all the family. Upon arrival you will visit Santa and the children will be presented with a gift, after your Santa visit you will then enjoy a delicious 3 course festive lunch, in our very own wintery wonderland. This would be a opportunity to exchange presents and catch up with friends and family, that you don’t have time to see Christmas day.